Hang this beautiful wood themed clock in a room full of creeping vines and bubbling fountains. It is perfect for your garden hide-away, me-space or breakfast nook. The round wall clock features a natural oak wood finish that will bring a warm and earthy ambience to a room. 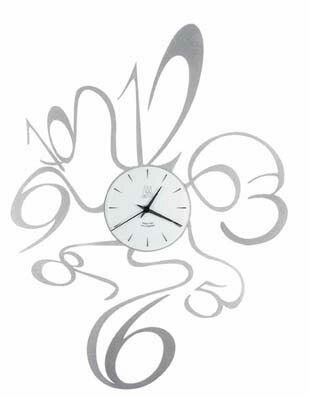 The white face offers easy-to-read bold Arabic numbers in black with a set of elegant silver hands. Perfect for those who aspire to eco-friendly natural living. Size 32cm diameter, 8cm depth.